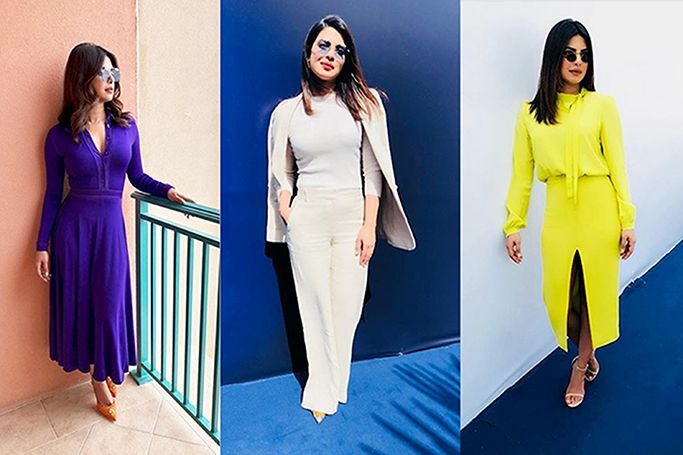 Priyanka Chopra has been in Dubai for the 6th annual Global Education & Skills Forum and the Varkey Foundation Global Teacher Prize. The Quantico star and UNICEF goodwill ambassador has been joined by fellow celebrities Mo Farah, Gina Torres, Charlize Theron, Brian Lara, Taron Egerton and Suits star Sarah Rafferty, for the recent education events in Dubai. It’s been announced that the half-Palestinian model Gigi Hadid and her musician boyfriend Zayn Malik have sadly split after a two year relationship, but before the celebrity breakup gets bitter we wanted to look back on Gigi and Zayn’s most stylish moments together. Meghan Markle evidently read our 11 fashion trends to follow in 2018 and was inspired by this year’s must-have fashion accessory –the beret! 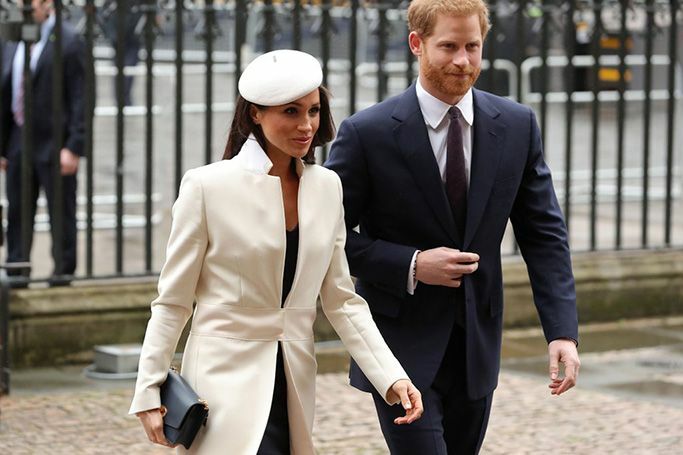 Paired with a cream coat by Amanda Wakeley, navy Manolo Blahnik pumps and a navy Mulberry clutch bag, Markle looked super chic in the cream-coloured beret by Stephen Jones whilst attending the Commonwealth Day Service at Westminster Abbey in London. Just when you thought red carpet fashion had retired for the season, another awards show appears as Arab fashion designers shone once again at the iHeartRadio Music Awards. In particular it was Zuhair Murad’s couture creations which dazzled on Jenna Dewan Tatum and Hailey Baldwin, as celebrities can’t get enough of the Lebanese designer….and neither can we! Vote Now: Was Emma Stone's Silk Suit Worthy Of The Oscars Red Carpet? Emma Stone broke every fashion rule on the red carpet of the Oscars 2018, as the actress paired pink with red (a fashion no-no) and swapped her usual glamorous Hollywood gown for an understated pant suit. It was an unexpected move from the award-winning actress, but we still approved! Read more about Vote Now: Was Emma Stone's Silk Suit Worthy Of The Oscars Red Carpet? Following the Oscars 2018 red carpet fashion of colourful dresses, sequins and show-stopping gowns, the stars had a quick wardrobe change before attending the Vanity Fair after-party to celebrate the winners of the Oscars 2018. As we wanted to celebrate the style and put together yet another fashion edit of glamourous gowns. As Milan Fashion Week AW18 closed with the fourth and final Gigi x Tommy collection, the Formula 1 inspired Tommy Hilfiger designs were showcased on racetrack runway which was walked by all three Hadid siblings. As Gigi, Bella and Anwar walked alongside model friends Hailey Baldwin and Winnie Harlow, the Hadid sisters especially revealed their fashion month success in New York, Milan and potentially Paris! 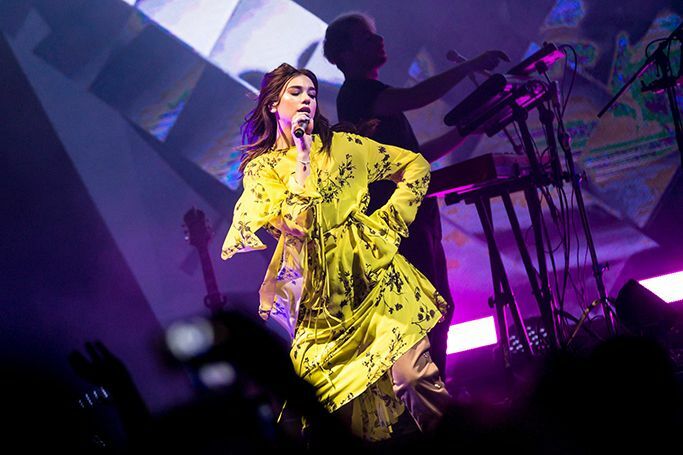 Dua Lipa’s Abu Dhabi performance and style was Hotter Than Hell on Saturday night, as she entertained her Middle Eastern fans at the du Forum on Yas Island. We're still celebrating awards season as the 71st British Academy Film Awards took place last night in London at the Royal Albert Hall. Celebrities on the red carpet once again showed their support of the Times Up movement by wearing all black, as the BAFTAs 2018 dress code reflected the same message as the Golden Globe Awards back in January. 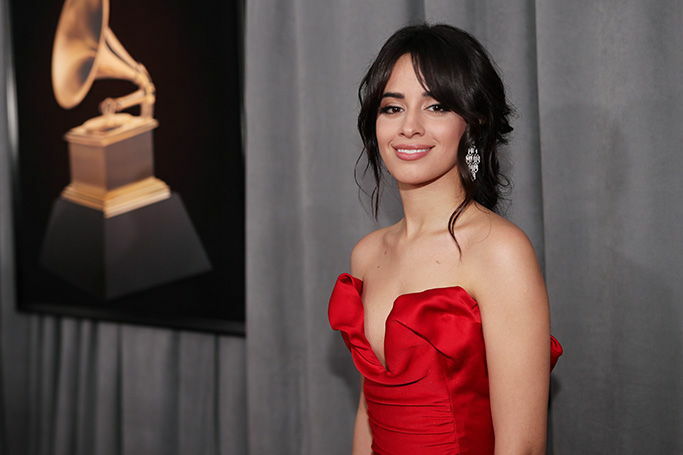 Thigh-high slits and power suits were the fashion trend of the 2018 Grammy Awards, as we’ve got all the red carpet fashion straight from Madison Square Garden, New York City. From the best dressed celebrities, to slightly more eccentric worst dressed list, our highlights of the Grammys 2018 are sure to entertain.